You might be asking why you would ever need to buy kick drum samples when there are a few kick drum synthesizers on the market. No synthesizer can make a production ready kick that will stand out in a busy mix. That takes editing, proper processing and layering. We made over 250 kicks for this sample pack and cut it down to only 85. We wanted every kick in this pack to be production ready. There are no filler samples. We also made a simple Kontakt instrument (version 4.2 and higher required) and put all of the kicks on just the white keys. So auditioning and finding that perfect kick in your track couldn’t be easier. 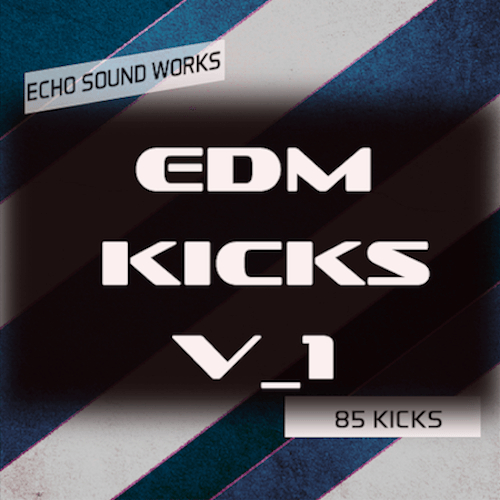 Check out the demo video below to see how the Kontakt instrument can make adding kick drums to your EDM productions quick and easy. The pack included 50 Kicks and 35 Tuned Kicks. The samples in this pack will work with genres like progressive, electro, house, electro house and progressive house and are compatible with any DAW like Logic, Pro Tools, Live etc.